Enjoying special moments in the sunshine with colleagues, business partners, clients and employees. Simply taking the time to say "thank you" and breathe in the lightness of summer - summer parties, garden parties and grill parties are essential aspects of the culture in many companies. We invite you, too, to enjoy an evening summer party with your guests in our Kavalierhaus garden. 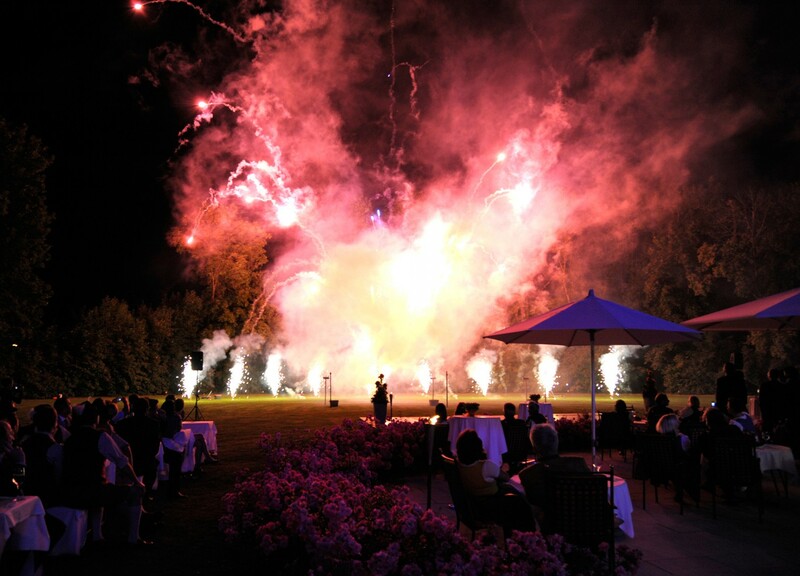 Show your team that you truly appreciate their work - with an unforgettably beautiful summer event. We will be glad to help you with all aspects of the planning process - and provide you with complete support. A summer party is the ideal opportunity for a company to thank all of its employees for their great work, and to do so in a casual atmosphere. Look back over the last half-year together and preview the next exciting projects. And let's not forget, of course: Enjoy that special summertime feeling. Numerous team activities strengthen cohesion and give your guests the opportunity to get to know each other privately. Far removed from their desks and time pressures of the daily work environment. Our spacious, sunny gardens provide ample space for a variety of incentive programs. In addition, a selection of locations for exciting team-building activities can be found within just a few minutes' drive of here. Would you like to give your summer party a specific theme? If so, we would be happy to place our ideas and know-how at your disposal: Your summer-party location will be decorated in keeping with the theme, of course, and will feature an array of appropriate extras. Great fun guaranteed. Alternatively, you might wish to plan your very own "summer olympics" as part of the festivities, allowing your guests to go head-to-head in events such as bocce, skipping and egg races. No matter how you prefer to celebrate the arrival of summer - we are certain to have wonderful ideas that will "kick it up another notch"!